Some examples of my work as freelance speaker/ workshopleader/ guide. Few times a year I create and do workshops for children in this center. The focus is exploring new things. During these workshops we are experimenting a lot with materials. Every year during Chinese new year I travel to Dublin to give workshops and demonstrations at the Chester Beatty Library. 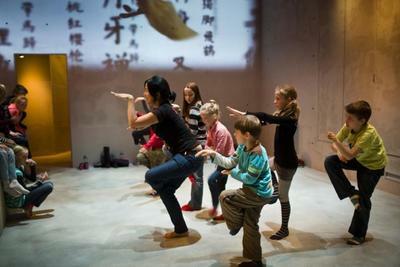 During those lessons I teach the kids and adults about Chinese culture, habits and art forms. 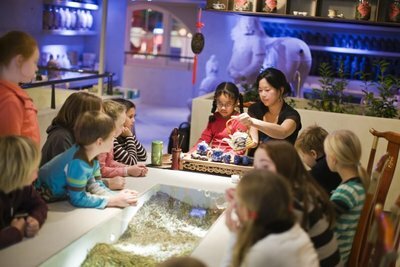 Actieve tours and drawing lessons for childern from 6-18 years. Museum for drawing and the love for this craft in modern times. Interactieve tour with kids and adults about the life in China. Performances combined with cooking, kungfu, calligraphy etc.